Drawing of Widerøe's Embraer 190 E2. Image by Embraer. Scandinavia’s largest regional airline has signed contract for up to 15 Embraer E2 jets. Widerøe is today the airliner in the European north with most take-offs and landings per day. Performing 400 take-offs and landings, the airliner serves 41 domestic and six international destinations. 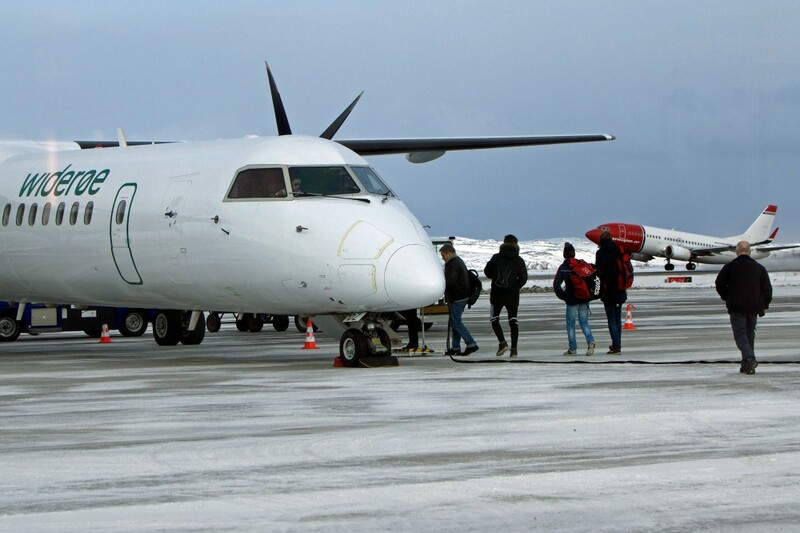 In Finnmark county alone, Widerøe has daily flights to all 11 airports. The airliner on Monday announced it has placed an order for up to 15 Embraer E2 jets. The contract consists of three firm orders to be delivered in 2018 and purchase rights for 12 further of the E2 model. With Embraer, Widerøe will for the first time operate jet aircraft. Today, the airliner has a fleet of 41 Dash-8 aircrafts. Nilsen says the deal will give WIderøe a good position to develop further. Widerøe’s three first Embraer jets are model E190-E2 with 114 seats.